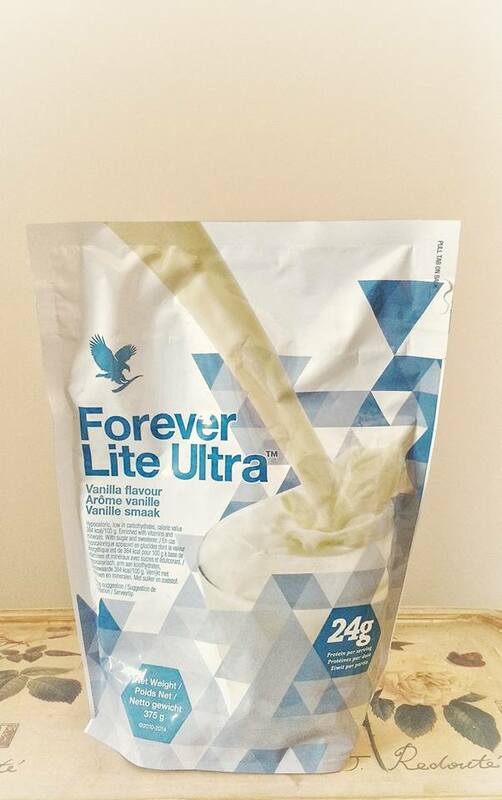 Except, I won't be able to use that excuse anymore so in an attempt to make a transition to the healthy side, I whipped up this delicious cinnamon and vanilla milkshake, using Forever Lite Ultra* in vanilla flavour. To make, simply add a level scoop of your forever lite powder to 300ml of semi-skimmed milk (by all means use skimmed to save on calories, but I'm not quite at that stage yet!). Then simply sprinkle in some cinnamon and give it a good ol' whisk to give it a nice creamy texture! Sprinkle a little more cinnamon on the top, et voila! 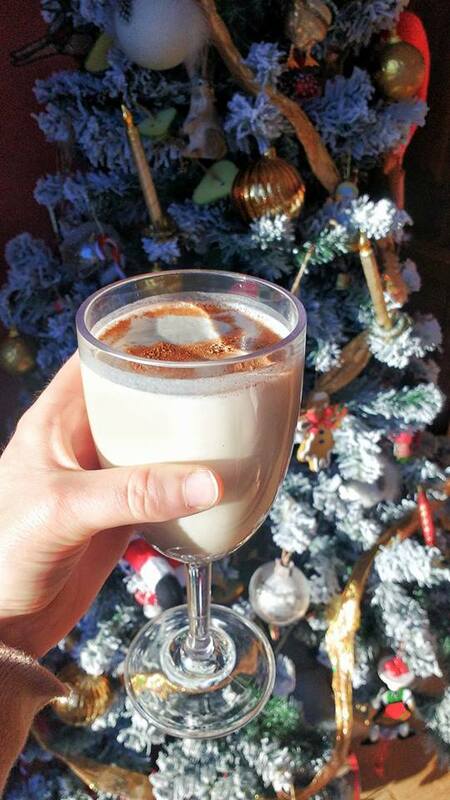 If made with skimmed milk, that makes a grand total of 201 calories. Not bad for a tasty milkshake!! I actually made this because I was scavenging the house looking for some Christmas leftovers as we're not having lunch till we've gone to the bank and some shops AND the garden centre, and I knew that if I didn't eat something, I'd end up eating more rubbish. I was starving before I drank this and I can honestly say I now feel completely satisfied...and for me as the biggest eater for a little person you'll know, is saying something. If you're really wanting to shed some pounds then you can take on the seven day challenge where you replace two of your meals with a shake! I think I'll play around with more recipes before attempting that because my love for food is just too great! And remember that if you do try the challenge then it should only be short-term..a sorta kick-start to your healthy lifestyle! I remember making cheese straws in nursery. 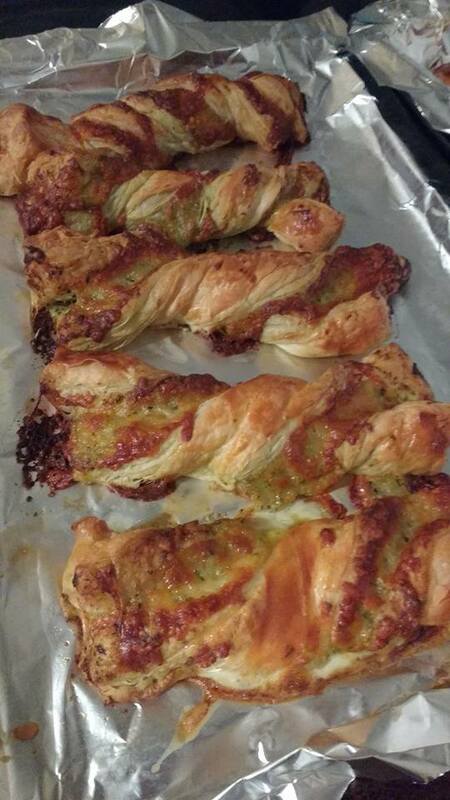 That's the level of difficulty we're working with here...except these cheese straws have an extra sophisticated twist to them! Easy to make and a definite crowd pleaser, you can't not have these on your spread this Christmas. a jar of green pesto ( I bet red would work just as well though! Step One: Preheat the oven to 180 degrees C.
Step Two: Line a baking tray with some foil and then roll out your first sheet of pastry. Step Three: Spread a generous layer of pesto across the whole sheet and then sprinkle on your grated mozzarella. Step Four: Lie the second sheet of pastry on top so you have made a sandwich with it. Then cut into strips of around 4-5cm width and as long as you like! Step Five: Twist the strips and then rub some egg over the pastry so that they leave the oven with a nice glaze. Pop them in the oven for 25 mins. They taste best served warm straight from the oven!